The cut of a diamond has a major effect upon its appearance and price. The color of a diamond is the most important of the four C's when looking at raw diamonds. 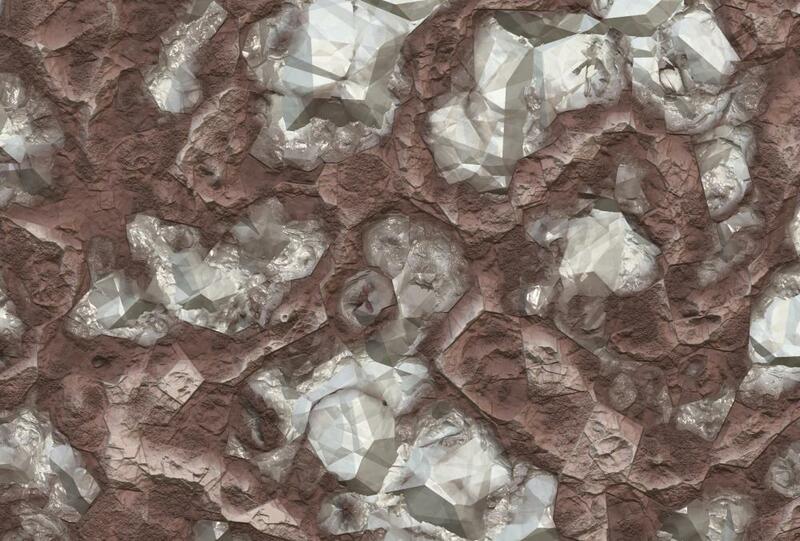 Chocolate diamonds in a variety of cuts. The four C's of diamonds are cut, color, clarity and carat. The four C's of diamonds are cut, color, clarity, and carat. They are all important considerations in grading a diamond for sale, and they will influence the eventual price of a diamond, along with any jewelry that it is used in. Consumers should familiarize themselves with the four C's of diamonds if they intend to purchase a diamond, since this knowledge can help someone evaluate a diamond and get the best stone for the best price. The cut of a diamond refers to the way in which is it cut and polished after it has been mined. The cut of a diamond is very important, as it can literally make or break the stone. A well cut diamond will have a glittering array of facets which sparkle in the light, giving the diamond a rich look. In a diamond with an excellent cut, light will enter the diamond through one of the facets and then refract back, rather than being lost through the sides or bottom of the diamond. 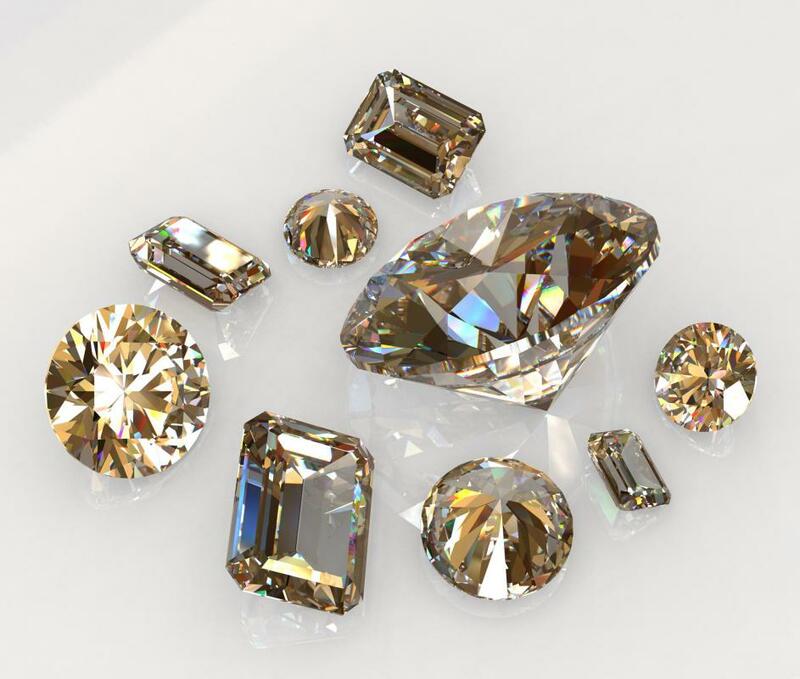 There are numerous different styles of cut for diamonds, ranging from table cuts to round cut brilliants. The clearness of a diamond is graded according to clarity. A very clear diamond with no inclusions is extremely rare, and it can be quite expensive. More commonly, diamonds are sold slightly included, meaning that they have small flaws but they are still reasonably clear and attractive to look at. Heavily included diamonds are used more commonly for industrial purposes, since they are perceived as unattractive by consumers. The final representative of the four C's of diamonds is the weight, or carat, of a diamond. While one might imagine that larger diamonds are automatically more expensive, this is not necessarily true. A diamond's value is based on assessment of all four C's. For example, a very large diamond with a bad cut would be worth less than a smaller fancy diamond with a cut which emphasizes its color. If you've spent some time in museums lately, you may have noticed that antique diamonds were often minimally cut, since people wanted to preserve their size, rather than bringing out the beauty of the stone. Some very famous diamonds such as the Hope Diamond have actually been recut several times during their lifetimes, with later diamond cutters trimming the diamond down to create a stunning stone with a more modern look. The four C's of diamonds also do not address the issue of conflict diamonds, diamonds which are sold to fund terrorism and other acts of violence. Consumers who are concerned about buying conflict diamonds should make this concern clear to a diamond dealer; some dealers participate in programs which are designed to stop the trafficking in conflict diamonds. One of the more reliable sources of cruelty-free diamonds is the Arctic; since Arctic diamonds are entirely separate from the African diamond supply chain, it is easier to certify them as conflict-free. What Are the Best Tips for Investing in Diamonds? How do I Become a Diamond Appraiser? Can Peanut Butter Really be Made into Diamonds? the next "C" to pay attention to. Anything above a "J" color will appear nearly colorless to the naked eye, with a diamond with a color grade higher than "H" being considered colorless. If you are buying a stone that has a “J” or “I” color I would recommend setting it in yellow gold because it will mask the very slight tint. If you want to set a "J" or "I" color stone in a white gold setting, look for a stone that has a medium blue fluorescence. This can only be seen under UV light, but a medium blue fluorescence will make a stone appear one color grade whiter. Stones with fluorescence are also a little cheaper. When it comes to clarity, a stone with an SI clarity grade will have no visible flaws as long as the stone has short facets (i.e. round, princess, heart). Stones with a large table or long facets may need a clarity grade of VSI2 or better. Lastly, most quality stones are graded by independent labs. Make sure you ask to see the grading report that is matched to that stone (done so by laser etching serial numbers around the girdle of the stone). Make sure you get the certificate when you buy the stone as well. 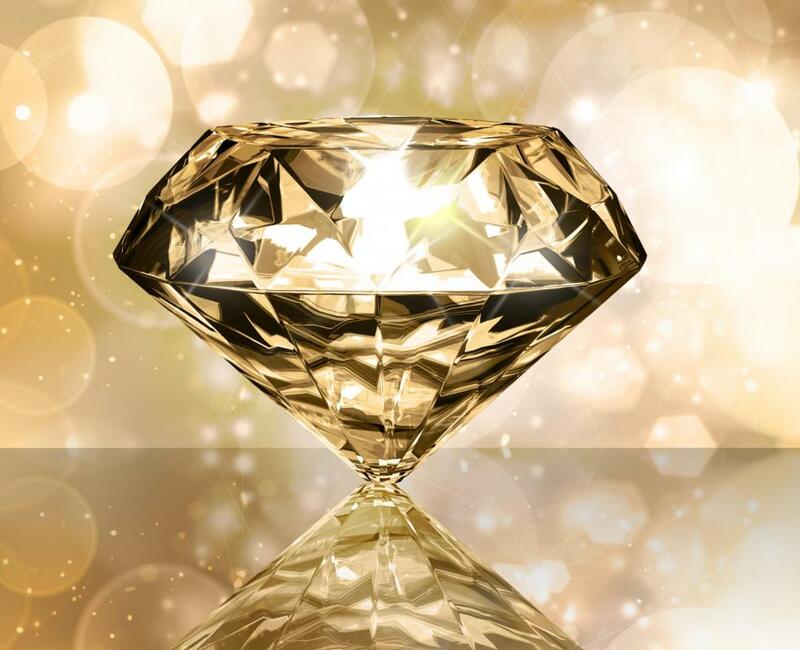 Certificates from AGS, GIA, EGL, and Canadian diamonds are considered some of the best. A certificate can also add to the resale value of the stone because it guarantees the attributes for that stone. I am looking to buy an engagement ring for my girlfriend, and I want the stone to be nice. 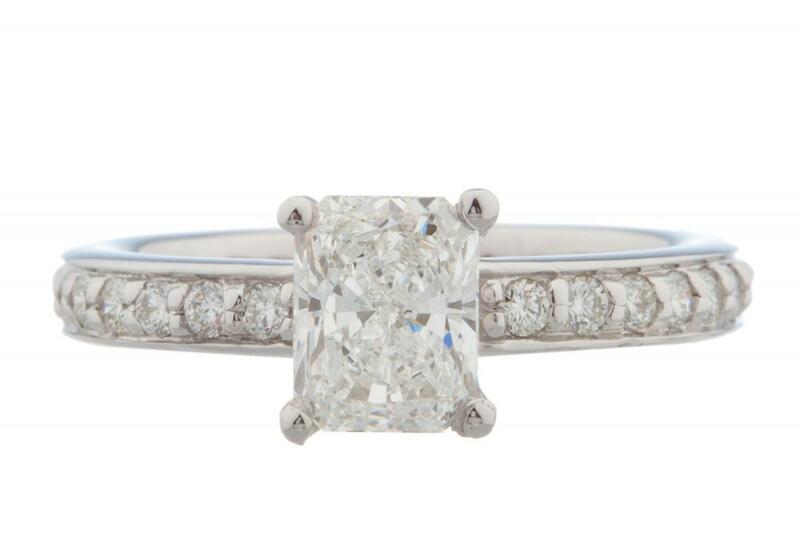 I am looking at getting her a traditional solitaire diamond, but I am not sure what shape I want to get. I do have a budget, so I can't buy a flawless diamond. Where should I start, and what are the most important attributes to look for when I am choosing a diamond? How do I avoid getting ripped off?